Love. It's a word that tennis fans know means zero in their chosen sport. 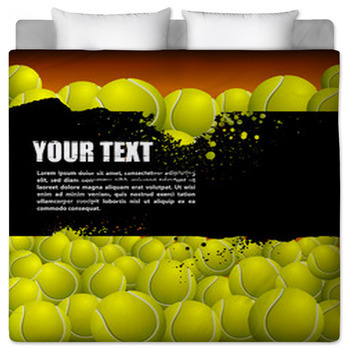 But it's also the word you'll use when speaking of tennis themed bedding from VisionBedding. com. 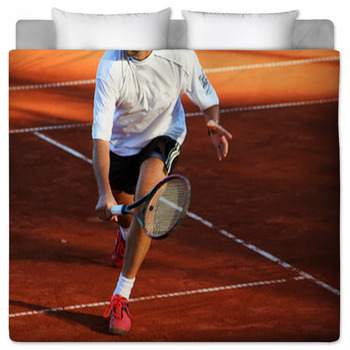 You'll absolutely love the beauty and comfort of our custom tennis bedding. 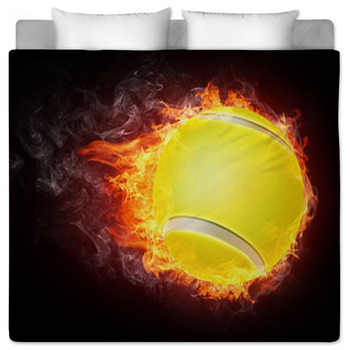 It's a great way of showing your visitors just how passionate you are about tennis. 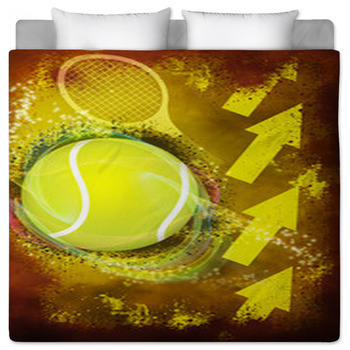 Plus tennis is a great theme for any age level. 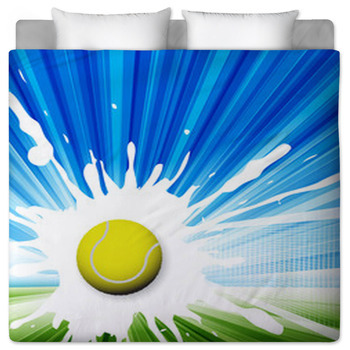 It works with many color schemes and is loved by both, people who play tennis and even those who just enjoy being a tennis spectator. 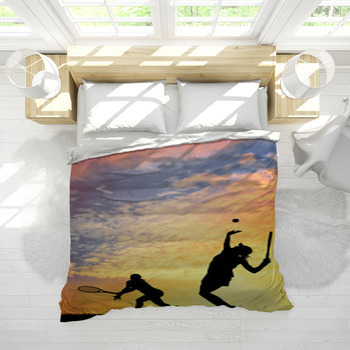 A unique tennis duvet or comforter can bring home the fun of this exciting sport. 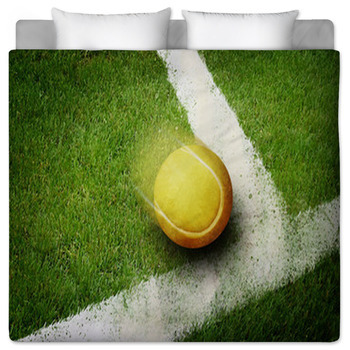 Imagine the possibilities with your tennis bedding. 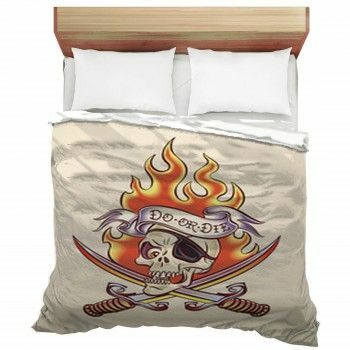 You can create incredible designs for your duvet, comforter, sheets, pillows and more. 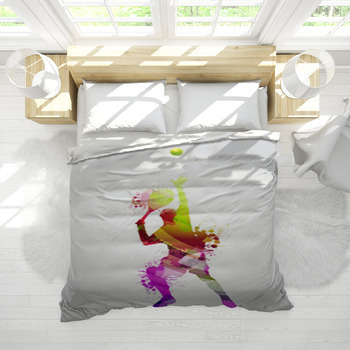 Along with just about any color you can imagine, you can include images of yourself in your custom tennis garb, or you can show favorite tennis players or events. 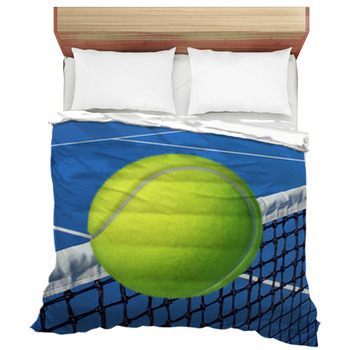 The process of creating the perfect personalized tennis bedding begins with choosing one of our designs or using your own photo. 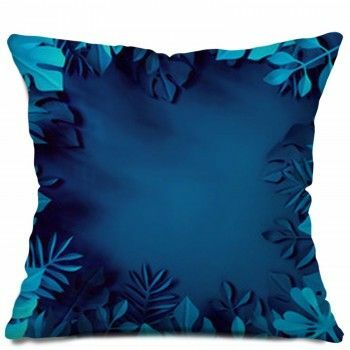 VisionBedding has an enormous amount of possibilities, so find the one that most closely matches the vision you have in your mind. 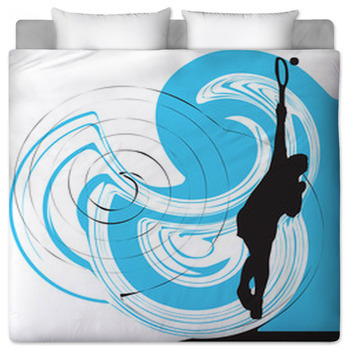 There are abstract tennis designs in a variety of colors or more photographic options such as players and tennis courts. 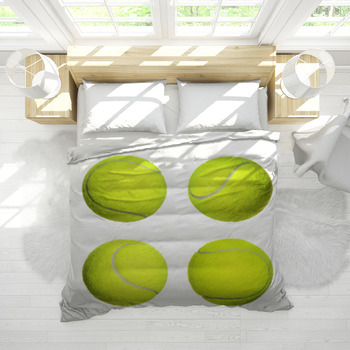 Get started and before you know it your tennis themed bedroom will be the star of the court.